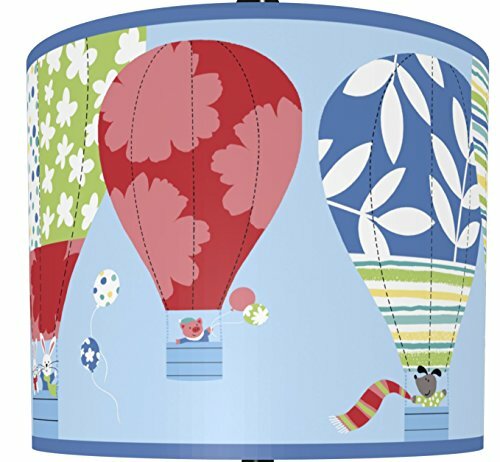 Adorable hot air balloons are featured on this charming lamp. The perfect way to refresh the look of any lamp. Brass finish spider fitting. The shade is 11" in diameter and 9" high. If you have any questions about this product by Illumalite Designs, contact us by completing and submitting the form below. If you are looking for a specif part number, please include it with your message.